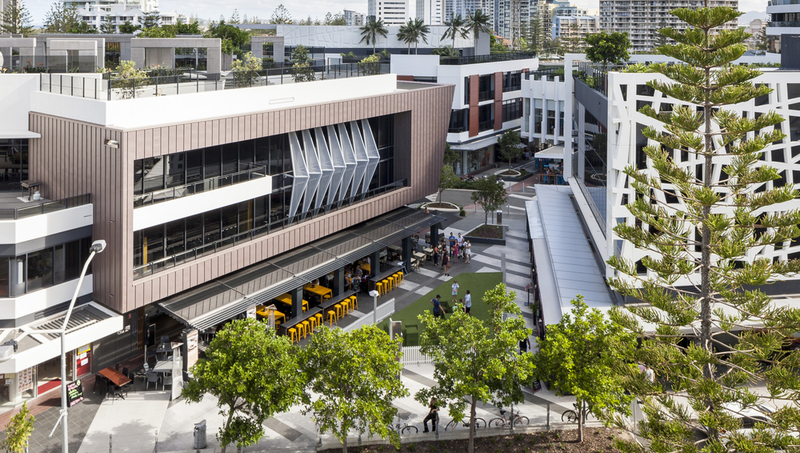 Ignite created a new street of buildings and a precinct which is now the prime retail and dining destination in Broadbeach. Located on a prime site in the Gold Coast’s Broadbeach district, The Oracle is a contemporary retail destination and a premium lifestyle urban village. Comprised of a multi-storey retail and commercial district with two high-rise residential towers above, it occupies almost a full city block. Ignite's role in the project was the design and integration of the entire retail and commercial precinct, which was conceived around ‘Oracle Drive’. This new street links two existing streets in a diagonal connection through the site and is flanked by individual buildings, each with its own character and retail offer, with commercial and retail space on upper levels. At the time Ignite Architects was brought into the project, a development approval was in place which included a proposed new street connection through the short axis of the site. Ignite’s analysis showed that this approach did not maximise premium street frontage, so Ignite proposed a re-alignment of the axis to form a long diagonal working street through a three-storey retail and commercial podium. This more than doubled the opportunities for premium street retail shopfronts, putting more retail in premium locations, and generating better income levels and greater value for the development. Instead of the single architectural form originally proposed, Ignite created a “street of buildings” to generate a modern village atmosphere and designed the full complement of buildings in the podium. The variety of building styles and designs - including a number of iconic buildings – along with the sense of scale, and the long, trafficable street, lined with shops and restaurants, gives the Oracle its unique and memorable character. The retail continues around all active street frontages of the site to form a new and cohesive urban environment for Broadbeach. A pedestrian laneway and a piazza off the main street provide opportunities for both intimate gatherings and space for larger community celebrations. 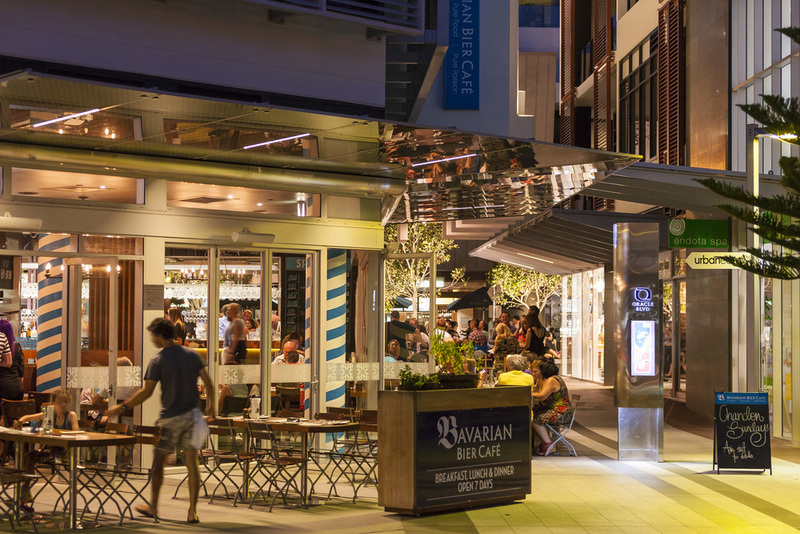 The new street, laneway and piazza serve the residential towers on the site and those nearby, and have become a focus in Broadbeach for locals and visitors alike.